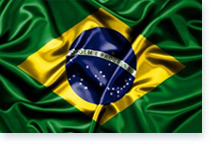 Brazil’s standards system includes both compulsory and voluntary standards. The principal government entities involved in compulsory standards in Brazil are listed below, including information on their standards. The National Metrology, Standardization and Industrial Quality System (Sinmetro) is the system comprised of public sector and private entities that perform activities related to metrology, standardization, industrial quality and certification of conformity in Brazil. Sinmetro’s goal is to create an infrastructure of technological services capable of assessing conformity of products, processes or services; it was established by Decree Law no. 5966 of December 11, 1973. The National Metrology, Standardization and Industrial Quality Council (Conmetro) is an inter-Ministerial collegial entity which serves as the regulatory authority of Sinmetro. Conmetro is chaired by the Ministry of Industry, Foreign Trade and Services (MDIC); Inmetro serves as its Executive Secretariat and it has six advisory committees, as follows: Brazilian Committee on Conformity Assessment (CBAC); Brazilian Metrology Committee (CBM); Brazilian Standardization Committee (CBN); Brazilian Regulatory Committee (CBR); Brazilian Committee on Technical Barriers to Trade (CBTC); and the Codex Alimentarius Committee of Brazil (CCAB). The Consumer Protection Code aims to protect the rights of consumers, as well as govern the interactions and responsibilities between the supplier (product manufacturer or service provider) and the final consumer, establishing standards of behavior, time periods and penalties, pursuant to Decree Law no. 8078 of September 11, 1990. Inmetro Regulatory Guidelines aim at making the Inmetro's regulatory process official and transparent, based on both national and international good practices, so as to promote efficiency and effectiveness in the adoption and application of technical regulations issued within its legal operational jurisdiction. In Brazil, the voluntary standards are developed by the Brazilian Technical Standards Association (ABNT), a private sector nonprofit entity created with the objective of coordinating, guiding and supervising the process of preparing Brazil’s national technical standards. 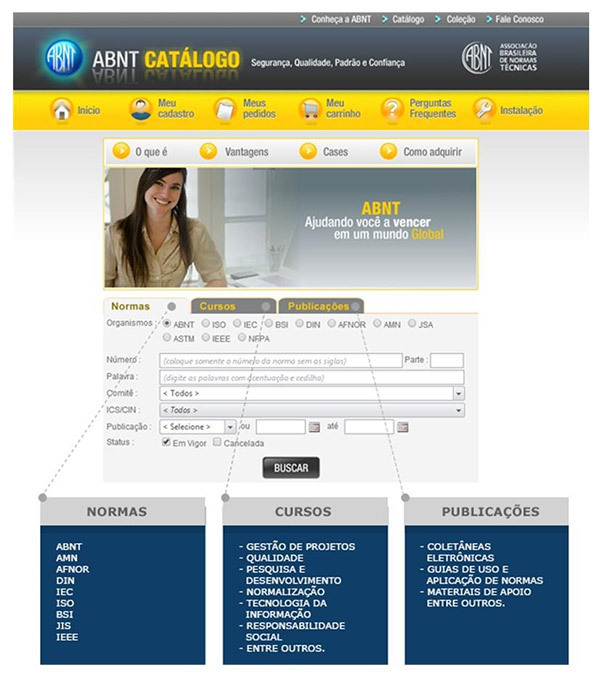 The ABNT catalog contains the products and services offered by the ABNT, including standards, courses, and publications. To access all this information, register at the site through the Passport ABNT. In addition to Brazilian documents, the site’s Standards Research tab features online standards from other global organizations including ISO, IEC, AENOR, API, AMN, ASME, DIN, BSI, AFNOR, ASTM, JIS, IEEE, NFPA, and SAC. All ABNT course-related information and registration instructions are available. And under the Publications tab, the Electronic Compilation of Standards and User Guides and Application of Standards are accessible, along with a summary of their content, among other documents.